It is known that the hill folk in their nightly excursions, and in the visits of one tribe to another, go in a straight line, gliding as it were within a short distance of the ground, and if they meet any strange obstacles in their track they bend their course above them, or at one side, but always with much displeasure. A farmer named Finglas, a stranger to the old ways of the country, took this farm and was not at all satisfied with the accommodation offered by the old farm house and yard.There was neither cow-house nor stable, except an excuse for such conveniences at the end of the yard. He would have new buildings made at the side, and dug out the foundation at once, but was warned that the Fairies Pass lay directly across the bawn, and that it would excite their sovereign displeasure to find stable or barn or cow-house in their way. 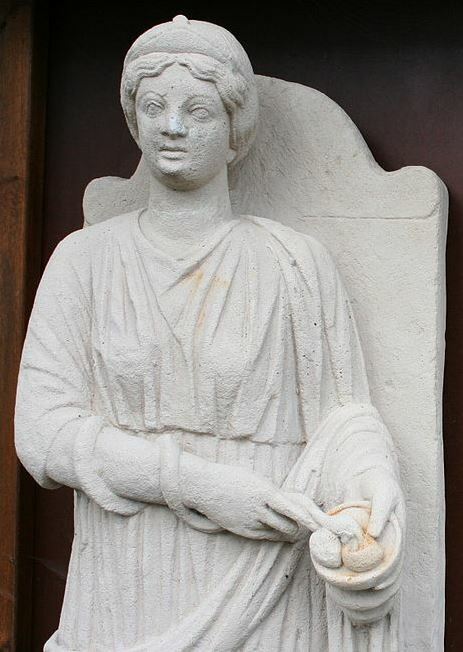 Unhappily, Finglas, though married to a Roman Catholic wife, was himself a benighted Presbyterian, and as such a contemner of all reverence due to the Good People. But see, the result of pretending to be wiser than your neighbours: Scarcely were the buildings thatched and the cows and horses installed in their niches when the wisdom of the old people became evident. One animal after another without apparent cause began to refuse its food, languished, and died. In vain was recourse made to the most skilful cattle doctors. Their medicines proved naught, and fairy men or women would have nothing to do with the devoted beasts – they were on the Fairies Path. Not until three fourths of his cattle were slain by the elf bolts was Finglas overruled, and at last persuaded to construct new buildings at the end of the bawn. The ‘lesson’ illustrated by such a typical tale of ‘fairy paths’ is not too dissimilar to those associated with fairy hills and raths/forts, and likewise of the ‘fairy grounds’ or lawns where they were supposed to hold their revels: Humans had better be careful, lest the ever-hungry Otherworld exert its frightening ‘abstracting’ influence over the offender. The great survey of Irish oral folklore organised by the Coimisiún Béaloideasa Éireann during the early-mid 20thC was to uncover many similar tales. However, the paths taken by the People of Peace were not always limited to these actual or imagined routes connecting landscape features. 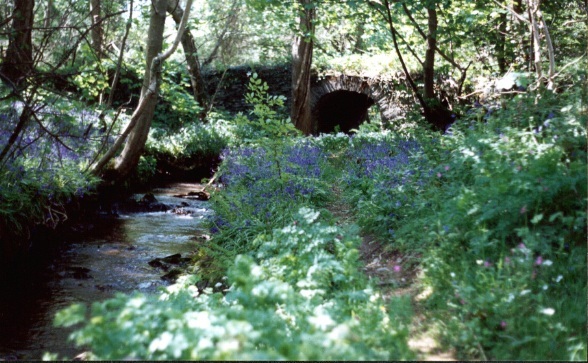 In many ‘celtic’ regions, there is a belief that the invisible ones cannot cross running water directly, and this has apparently led to spirits being associated with certain ‘fairy bridges’ such as those found in the Isle of Man. The famous Norwegian folktale of the three ‘Billy Goats Gruff’ and the troll who lived under the bridge may have some bearing on this local tradition. By the same logic, boundary walls (particularly those with ‘hallowed’ ground, such as burial grounds and churchyards) were considered another place where spirits were more likely to be concentrated and encountered. Likewise, certain boundary lines and walls between property gained similar attributions, sometimes depending upon the land use and ownership. A ‘fairy hole’ was a hole in an earth or stone hedge where three property boundaries coalesced. Manx people who used to have a strong belief in fairies, would toss a stone (usually a quartz pebble) into one of these after spitting upon it, in the hope that the spirit world would take their illness or bad luck from them. The belief appears to have been based upon an idea that fairies travelled along walls and boundaries between land divisions. This belief that fairies travelled along walls and other boundaries (such as streams and rivers) probably arose from the fact that in former times (possibly since the establishment of christianity), such boundaries were regularly walked and the property they enclosed blessed by the clergy in a ceremony known as rogation, designed to repel evil influences (demons etc) and promote fertility. Such boundaries were liminal places, existing ‘between’ such nebulous human ideas of ownership and supposed sanctity, in which spiritual entities might find a place to manifest. This idea appears slightly different to the Irish one previously mentioned in which fairies troop between their allotted hills and forts. However, this does not mean that the Manx people had, on the whole, radically different ideas about fairies to Irish or Scots people: Fairies were believed to have habitations and places of retreat between which they travelled. They were believed more mobile and active at certain times of day (dusk and nightime), and of the year (Samhain, Beltane). Encounters with them at these places risked the health and sanity of humans and their property, and ‘apotropaic’ measures would be taken to ameliorate any potential harm or fear.